Great place, I’ve Known Paul and Ivana for over 10 years, they really know their stuff. I would highly recommend this place. Fantastic place for the kids to learn martial arts and self-discipline. 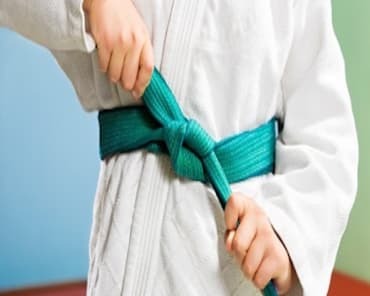 My kids are more focused, fit, and overall well balanced since starting karate. The instructors are superb and supportive paying close attention to individuals ensuring all students gain benefit from classes. The BEST place to learn martial arts!!!! My brother and I train here and it was the best thing we have done. Great family school with high-level instructors. I have trained at IMC Kemps Creek for more than 15 years now and I call this centre my second home! 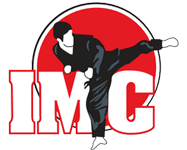 The staff is super friendly and the facility is top notch I would highly recommend IMC Kemps Creek to anyone who is interested in a family friendly, fun and exciting martial arts centre. Great school, trained there for a few years. Excellent run classes for both kids and adults. Paul has been there for 30 years and really knows his stuff. I would like to share how proud I am of my grandson. After beginning karate at IMC Kemps Creek in February, he has already gone up a class and advanced 3 belts and has come 2nd in a sparring tournament. None of this would have been possible without the dedication and attention to detail by all the staff and instructors he has been taught by. i have been coming to IMC for 4 years now and it has taught my 3 kids to have strength, courage, self-discipline as well as self-defence. I would highly recommend IMC to anyone wanting to create a great fun family environment. while learning self-defence. Great atmosphere, hard training, worth every second. 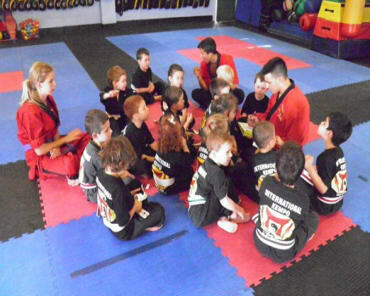 Awesome instructors, they keep the children engaged, educated and disciplined whilst still having fun. Highly recommend. IMC is an awesome place the instructors are very friendly and fun!! It teaches you great self-defence and it's like my 2nd family! I would recommend it to anyone!!!! IMC Kemps Creek is an excellent place for kids to learn, Justin had his 2nd lesson on Saturday & he luvs it, wants to go every day. The staff is truly magnificent with the kids.